So my existence online has been minimal (or any at all) for the past months, thanks to a dysfunctional laptop (which decides to die on me again & again). 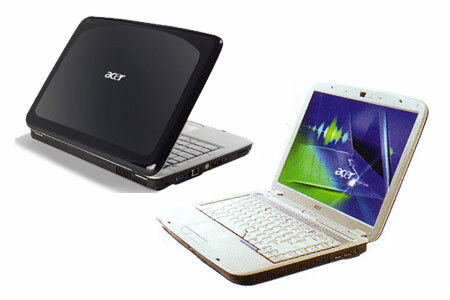 After complaining & creating a ruckus, Acer finally decided to replace my laptop. As my laptop has phased out, they needed to replace it with one that has a relatively equal value. So they told me they're replacing it with another model which has phased out as well, but still newer than mine, & of slightly better specs. Granted, it's not a brand new laptop. It's apparently a "display set". I do suspect it's more like a refurbished set. The guy delivered it Wednesday & I must say I'm quite happy with it. It has fingerprint security sensor! Core 2 Duo 2.2GHz! Relatively new Nvidia graphics card! Charcoal gray keyboard! My previous laptop didn't have the fingerprint sensor, was a Core 2 Duo 2 GHz, the graphics card was a lowly ATI Radeon, & the keyboard was white/gray which Daryl hates very much as I didn't allow him to use it without first washing his hands thoroughly. The condition seems pretty ok. Of course, it doesn't look spanking new but it's fair enough, since my previous laptop was slightly over a year old. Work so far has been awesome fun. It's been about a month, & time passes really fast at work. I love it. I'm doing interesting things such as editing videos, liaising with the media, co-ordinating advertisements, & some other ad-hoc stuff, but it has been rather fun so far. It's getting busier, & I've got much more on my hands now, but at least it's fun & have some sort of responsibility instead of a mundane sales job. In my first month, I sourced hotels for a huge conference in April & went down to look at them. Attended a media party thingy (with yummy buffet lunch at atas restaurant at Botanical Gardens) where I bumped into Kelly & Li Ling. Attended Watchmen premiere. Helped with a Twilight event. Even Daryl's jealous since I got to get out of my office a lot. But my colleagues did say I'm just lucky coz' we don't actually go out all that often. My boss is funny as hell, & yes, though he bullies & teases us mercilessly, at least there's no hierachy system where you feel so uncomfortable talking to your superiors. I can chat to my colleagues, especially the 2 girls in my department coz' they're only a year older than me. Everything's all fine & dandy. For now. Well, I hope it stays this way. & it will be even more perfect if the office is somewhere nearer to my place. Hah.